Most of us take mail delivery for granted when living in a sticks-and-bricks home. Incoming parcels are delivered right to our doorstep and we just raise the flag on the mailbox to have our outgoing mail picked up. Taking a week or two of vacation is not a big deal, we simply put our mail on hold with USPS or ask a family member to help us out. But what happens when we choose to travel more extensively? Extended vacationers: Those who RV for a few weeks (or even a few months), but plan to return to their home base for most of the year. 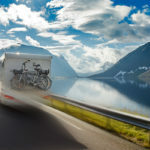 Part-timers: Those who like to RV spontaneously for several months at a time, return to their home base for a bit, and then head back out on the road. What we refer to as “Snowbirds” often fall into this category as well. They are RVers who generally move between two locations, a cooler climate in the summer and a warmer one in the winter. Full-time RVers: Those who live in their RV throughout the year and spend much of that time moving to various locations. The best part of RVing is the freedom it offers, and no one wants to be pinned down waiting on mail to catch up to them. Finding an option that is flexible and hassle-free is important to your lifestyle. You’ll want to pick a provider that you’re confident will give you the level of service you need based your travel style. This guide covers many options available to today’s RVer. Some will work better for certain travel styles than others. It’s important to understand all the advantages and disadvantages of each method so that you will be satisfied with your choice. The last thing you want to do is go through the hassle of changing your mailing address repeatedly. Many RVers give a family member or a friend a try. If you are traveling for short periods, this method may work quite well for you. Just make sure your forwarder is responsible, organized, and has the time it takes to handle your mail efficiently. As you might imagine there are some pitfalls using this method of forwarding. If multiple pieces of mail are forwarded, there’s a good chance they will arrive at your location on different days. You will be stuck there until all your mail arrives. And, of course you’ll need a way to track what’s coming. Some people develop a method where they indicate on each envelope how many pieces are in the current batch being forwarded. As an example, if they are forwarding three individual envelopes, they would mark them: 1 of 3; 2 of 3; 3 of 3. So, when you’ve received all 3 pieces you know it is safe to relocate. Just know that you risk mail being mishandled, delayed, and even returned to sender. Because of these hazards, most individuals who opt to use a friend or family elect to have their mail repackaged into one parcel and forwarded. To repackage mail, your forwarder will need to have the equipment to properly label it, package it, weigh it and apply correct postage. Otherwise, they will need to make frequent trips to the post office. Once your forwarder commits to handling your mail, realize that if they go on vacation, so does your mail! And, heaven forbid, should they decide to move to a new home, you’ll be going through the process of changing your address once again. Not fun. Your chosen recipient must legally be able to accept your mail. It is a violation of some leases to receive mail for those not listed on the lease agreement. And, let’s not forget about your privacy. They will see everything you receive in the mail. If you aren’t comfortable with your parents knowing what bills you have or your children knowing about your subscriptions, beware! Even if the individual forwarder you select is perfect, consider the level of obligation and potential inconvenience they will likely undergo. Important Side Note: If you are traveling full-time, mixing your legal address with a family member or friend’s address can create some unexpected domicile concerns. It could create the presumption that the friend/family member’s address is the address where you plan to permanently return. Learn more about domicile laws. While the USPS does an amazing job of delivering mail, mail forwarding is not their forte. This is especially true if you want your mail forwarded to a variety of temporary addresses. If you are going on vacation for a few weeks or longer and are staying in one location during the trip, the USPS can help you. Just bear in mind that they will only forward your mail to one location, so if you plan to relocate frequently, they are by no means an ideal solution. Some USPS offices are now offering basic mail scanning services. If you are considering them, you’d be wise to check out other sources as well because we think you’ll find the USPS is not as competitive (in either their service options or costs) as other commercial services. UPS is a great shipping service, but probably not the best resource for full-time RVers who need continued mail forwarding. Perhaps you’ve seen their advertisements about offering personal mailboxes with a street address. While having an actual street address versus a post office box number can be advantageous, the limited services and the add-on fees are going to be higher than what other professional mail forwarding services offer. If you are a full-time RVer, a professional mail forwarding service is very likely your best bet. They offer the most services and flexibility of the options discussed. No matter what provider you select, there are major factors to consider before you settle on one that’s best for you. There are obvious questions like how much will it cost, but not all fees show up on the surface. Find out if there are additional per-piece or mail volume fees on top of the monthly/annual fees. Look closely at the level of customer services they offer. For instance, can you have your mail forwarded per your wishes, including daily, weekly, monthly, or held until you call them and request it? Do they accept packages, certified mail, and medicines? If so, how do they process such items and what additional fees might be associated with them? Do they offer mail scanning services? If so, can you use those services only when you need them? There are many important things to consider and questions to ask when looking for a mail forwarder. For a list of questions click the link below. As a vacationer or part-timer, chances are you will retain your legal domicile. However, as a full-time RVer, you may want to consider changing your domicile. This is a subject you will want to research carefully. For detailed information about domicile, refer to the article Domicile Revisited, Back to the Basics. As an added advantage, some providers, like Escapees Mail Service, can serve as your legal physical address for domicile purposes. Escapees Mail Service is a prime example because it offers home-base options in the top three states that are particularly hospitable to full-time RVers. 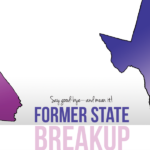 Those states are: Texas, Florida, and South Dakota. If you’d like more detailed information on these states including vehicle registration, driver licensing, and voting laws, simply click on the state links provided above. How do Professional RV Mail Services Work? There are a handful of great mail forwarding services across the country. We’ll use our own Escapees Mail Forwarding Service as an example since with nearly 40 years of experience, we know mail forwarding for RVers well. As mentioned above, Escapees Mail Service offers service in three states, but its central office and hub is located on 140 acres just outside of Livingston, Texas. The mail service facility is housed in a 10,000 sq. ft. building and is managed by approximately 40 full-time staff members. Because Escapees Mail Service is the largest mail forwarding service specifically geared to RVers in the nation, we have state-of-the art sorting and mailing equipment, as well as commercial shredders, scanners, and custom software that allows highly personalized service. You’ll receive an emailed verification the day your mail is forwarded along with your remaining postage balance. If for some reason you have no mail at the time of a predetermined forwarding schedule, you will receive a note telling you not to expect a parcel. That way you are free to move on down the road versus sitting around waiting on mail that isn’t coming. Side Note: Another unique benefit of Escapees Mail Service is their powerful stance when it comes to protecting voting rights and other critical issues that affect RVers who use a mail service as their domicile. Read more in the Escapees Advocacy Timeline. 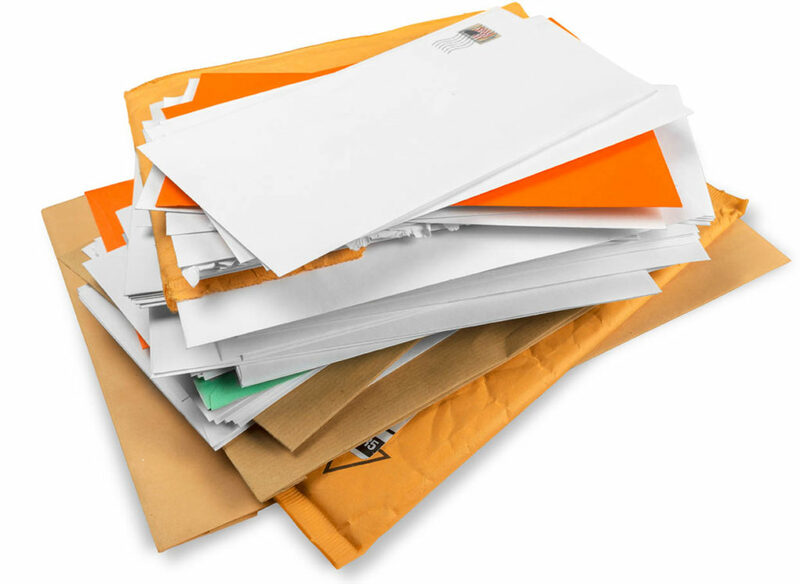 When you’re ready to have your mail forwarded, requesting all your accumulated mail be packaged into a single envelope or box and shipping it by USPS Priority Mail is typically the most economical option. Priority Mail is generally delivered within 2-3 days to most locations and comes with a tracking number. However, if you need to guarantee a parcel arrives by a certain date, selecting FedEx or UPS may be a better choice. Express mail tends to run a bit higher. Some mail forwarding services, such as Escapees Mail Service, will go the extra mile and research the best option for you based on the weight of your parcel and automatically select the appropriate mail carrier for you. No matter who you choose to be your mail forwarder, it will be your responsibility to determine your mail forwarding dates, locations, and how you want your mail shipped. 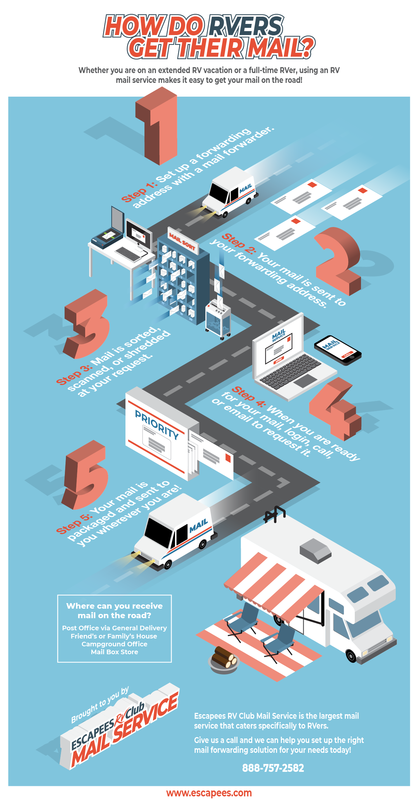 Selecting delivery locations is probably the hardest part of receiving mail while on the road. You must determine when you plan to be at a certain location and then make sure there is a facility there that will accept your mail. If you make campground or RV park reservations, the process becomes easier, because you’ll have a set date and location. Just be sure the place where you’ll be staying accepts mail! Not all RV parks accept mail for their guests. It’s best to check ahead to avoid the risk of your mail being returned to sender. You should alert them to any names receiving mail that may not be listed on your reservation. It’s also a good idea to ask your forwarder to write “Hold for Arrival” on your mail package. This gives management a heads up just in case your mail arrives before you do. Using the United States Post Office General Delivery service is a great option if you don’t plan to stay in a park, or the park doesn’t accept mail. If you plan to use this method, be sure and select a post office in a smaller community when possible. If you pick a big city, let’s say Houston, all general delivery goes to their main office. The last thing you want to do is drive your rig downtown to grab your mail if you’re just passing through. If Houston is your destination, you can still pick a smaller community on the outskirts of town to have your mail sent. You’ll want to call and verify that they accept general delivery at your chosen location. When using general delivery, it’s important to note that there is a limit in which they will hold your mail. It can be 10-30 days depending on the location and the Post Master in charge. Should your plans change, your mail will be returned to sender, so it’s always important that your mail forwarder’s address is clearly indicated on your parcel. This option will only work for mail sent through US postal mail. RVers can get quite creative with mail delivery locations when necessary—you may be surprised what businesses will accept mail for you. Perhaps you’re visiting a financial consultant, an attorney, or having maintenance done on your rig. It never hurts to check with them and combine a mail drop with business. Most mailing or shipping businesses will accept mail or packages for a fee. Just be sure if you use a UPS location that you’re only receiving UPS packages, etc. Most companies won’t accept a competitor’s package. Of course, friends and family are usually happy to receive your mail as well—just be sure you use the “in care of” symbol “c/o” and include their name as well as your own. Regardless which mail forwarding method or provider you choose, reducing unwanted mail will be an important asset. Reducing your mail volume will not only save postage fees, it might also help reduce the number of times your mail needs to be forwarded in any given period. If you are planning to switch your address to a mail service or even a family member, this is a perfect time to get rid of unwanted mail. Begin by notifying only those companies and correspondents that you want to have your new address. Avoid giving your address to anyone unnecessary. As an example, avoid providing your street address on raffles and drawing. Be careful when filling out registrations or warranties. Reconsider magazines subscriptions and associations and see if online services are options instead. Overall, avoid getting added to mailing lists. If you want to participate, see if they will accept your email address instead or your mailing address. Often when you purchase something online, unwanted catalogs start pouring in. If you’re using a mail service like Escapees, you can opt to have junk mail discarded so you aren’t paying unnecessary forwarding/postage fees. (Note: not all forwarding services offer this option.) Remember, what is considered junk to one person, might not be junk to you. Look for a service that offers varying degrees of personalized sorting, so you can make those decisions yourself if they are important to you. If you want to clean out some of your junk mail, there are national organizations such as DMA Choice or check out tips from other online sources compiled from the Federal Trade Commission. Consider moving more of your business transactions online and utilizing paperless options. Banking, insurance, paying bills, monitoring credit cards, and just about everything you can think of can be handled on a daily basis through the internet. No matter how digital the world gets, there will always be some physical mail. Things like packages, license plates, driver licenses, passports, credit cards, and important legal documents must be sent to a physical address. Finding a trusted mail forwarder is an essential piece for how RVers get their mail on the road. 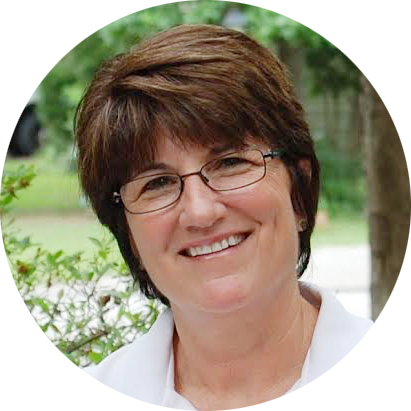 Cathie Carr has been intimately involved in the RV lifestyle for over forty years. She was one of youngest full-time RVers working as she traveled when her parents, Kay and Joe Peterson, launched the Escapees RV Club. She was hired to help with its administration in 1983. Her first major challenge was to create a mail-forwarding service that catered to the specific and unique needs of RVers. Today it is the largest mail-forwarding service for RVers in the nation. Have you called Escapees headquarters yet with your question? It’s one we get fairly often, and many of our call center staff are well-versed in helping you navigate those complications. I have been using Escapees Mail Service ever since becoming a full time RVer is 2001 (that’s 17 years I have used the service it has been great.) However, most recently I have not been getting the emails that tell me a package has been sent and providing me with a tracking number. Thank you for letting us know! We’ll share your feedback with our mail service staff and IT so we can figure out what’s going on. Thank you. Karen called me this afternoon and we verified that they had the correct email address. It sounds like the glitch is somewhere in the software. I find it fantastic that my comment was immediately read and a response was made in a short period of time. I can’t yet say that my issue has been resolved, but I believe that it will be resolved soon. My respect for the SKP mail service has only increased! Again, I believe that the SKP mail service is great and their response to my issue confirms that opinion. For Escapees Mail forwarding from each of the 3 states, is the address you are assigned similar to a street address??. My understanding is brokers like Schwab, E*Trade, and some Banks due to Anti-Terrorism, are now investigating when the address is not clearly a physical location. e.g. if using Texas, E*TRADE and Schwab don’t care as it looks like a real address but in S. Dakota there are problems? They are consistent regardless of state in order to make things easier, for our mail staff and others. I called & spoke with SKP staff in early October 2018 to discuss this issue but am still confused. Can an SKP Mail Forwarding Service address be used for “registered agent and office in Texas” purposes? Here is the reference from the office of the Texas Secretary of State. The quick answer to your question is “no.” However, that’s only because “registered agent” refers to an individual, physically in the state, to receive legal actions and lawsuits. Our mail-forwarding options do not include that service. There are a number of companies that will perform that function for a fee, though, so you can still use the Escapees mail-forwarding service while having your agent elsewhere in the state. Thank you so much for your reply. Much appreciated! Do you know of any “registered agents” in the Livingston area? If not, how about in Polk County? P.S. Has SKPs ever considered offering a “registered agent” service for your customers that have a business in Texas? It would be much more convenient for a customer of yours that wants both a mail forwarding service AND a “registered agent” to have the same address instead of having to have two addresses and having to pay two different companies. Here’s an example for your future consideration. Thank you! Any answers to my questions above? (1) Do you know of any “registered agents” in the Livingston area? If not, how about in Polk County? (2) Has SKPs ever considered offering a “registered agent” service for your customers that have a business in Texas? After consulting with our leadership, we don’t know of any registered agents off-hand. As far as offering that service for our members, I have passed the suggestion along, but don’t have any information to provide you at this time. Can you use Escapees physical address for Social Security. Im selling my home and need a physical address. I receive Direct Deposit but once a year they send a letter telling you about Cost of Living increases ect ect. And if it can’t be delivered it’s sent back as address unknown and they stop your benefits. ? Hi Marijo! Yes, we have quite a few members who use our mail service for all of their mail, including Social Security. If you’d like, give our office a call (the phone number is at the top of the page) and they can walk you through how our mail service works! Hey guys, I have a special circumstances that I have a question about. What do I do about needing a home state for a gun carry license. I know this is beyond the mail topic, but if I’m looking for a home base to operate from, I need to consider that also. Fortunately I am a veteran, so my Georgia drivers license is good till I turn 65, but my gun license needs to be renewed every 5 years. What can I do about a permanent domicile for that? Hi David! For unique circumstances such as yours, we recommend RVers reach out to K. Susie Adams at Loring & Associates. She is well-versed in domicile law, and has offered many of our members free consultations in resolving their unique needs. Ok…. All this sounds great but I have a question that doesn’t seem to have been addressed. I live in an RV full time but I can’t move it (yet). When I do, I will need to participate in a mail forwarding service and that said, I get between 5 and 10 pieces of mail PER YEAR outside of online shopping which mostly comes via UPS. Items that might come via USPS fall within that 5 to 10 pieces of mail per year. Is there a way to customize the fees based on such a minute amount of mail per year? I’m asking for future reference only. Thanks. That’s a great question! The lowest ongoing tier of service we offer is $95/year for Category A (which means no mail sorting). Temporary service may be something for you to consider, if you know when you expect that mail. For a better explanation of your options, though, we highly recommend you call and speak with someone in our customer call center. They can walk you through all the options for consideration, and hopefully answer your questions on the spot. Hi. I am a Full-Time RVer and a Life-Time Escapees member. I’m also already a Floridian and have a Florida driver’s license that is renewed/sent to a local mail center in my town. Most of my bills are auto-pay on-line. Driver’s license, insurance cards, tax time papers, special letters and the Escapees magazine are the only mail I receive at the mail center. I now plan to do more traveling and like the Escapees mail set up where I can see my mail on-line while traveling and either print it out, ask to have it discarded or ask to have it forwarded to me. My present mail center does not offer this option. My question is: Do I still have to fill out the Postal Service Form 1583 and mail it back to you, even though I already have a Florida address? I don’t think the U.S. Post Office in my town even has my mail center address recorded anywhere! For the most complete answer to your question, I recommend you give our office a call. They are well-versed in the ins and outs of our mail service, and can answer your question as well as follow-up questions you may have.